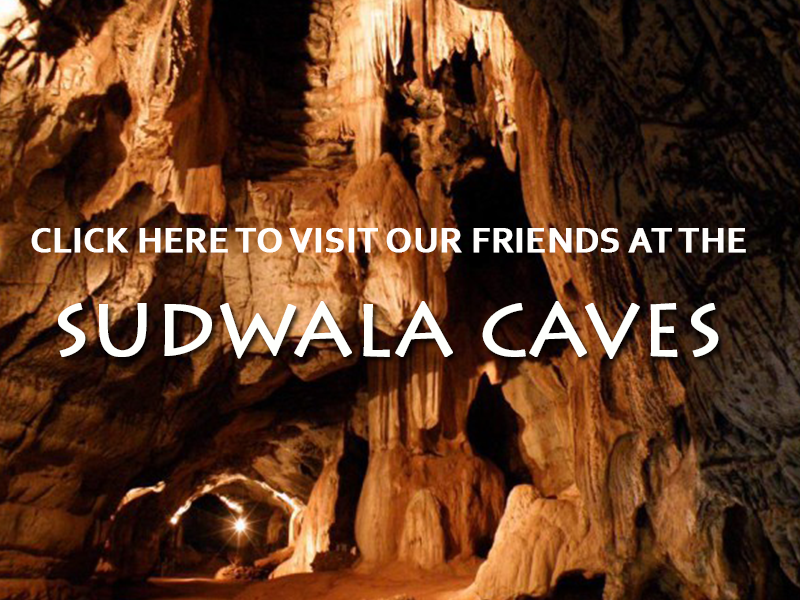 The Dinosaur Park is situated next to the Sudwala Caves, 30 minutes drive from Nelspruit, Mpumalanga, South Africa. The museum displays life size models of pre-historic animals, ranging from amphibious reptiles, anicient reptiles, dinosaurs, pre-historic mammals, pre-historic man and more. The models were artistically and realistically sculpted by Jan van Zijl (also responsible for the black wildebeest on the old South African 2c coin). Also on display are live Nile Crocodiles, perfectly adapted to survival and not much changed from their ancient relatives. The park is set in a lush sub-tropical forest garden, where monkeys and red-breasted cuckoos abound. New is a magnificent ‘viewing deck’ from where the Rainforest Valley (National Heritage Site # 167) can be observed – with occasional glimpses of wild chacma baboons. The park was the initiative of Mr. Theo Owen (1927 – 2013). The project was launched in 1972, and the park was officially opened in 1977. Many models were sculpeted near Johannesburg, and some were displayed at the Rand Easter Show in April 1976. The park was named after Mr. P.R. Owen (1900 – 1972) who was responsible for constructing the road up to the Sudwala Caves in the late 1950’s. Visit our library of Videos for a brief insight and an online welcome to the Sudwala Dinosaur Park in Mpumalanga.